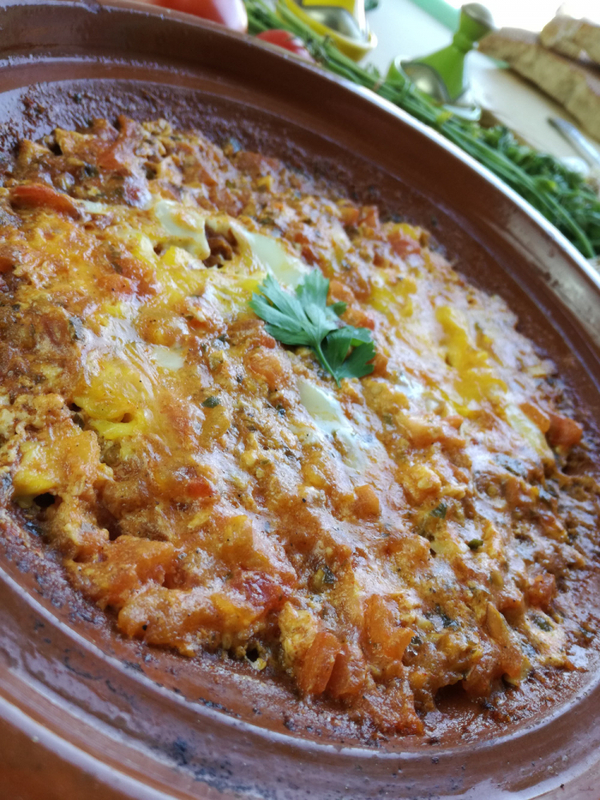 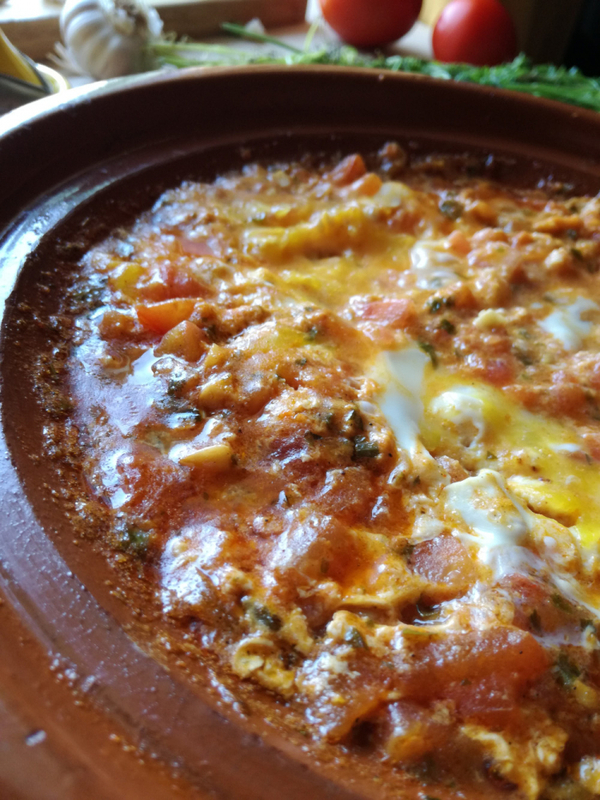 The omelet with tomato or "Bide Maticha" as the Moroccans call it. 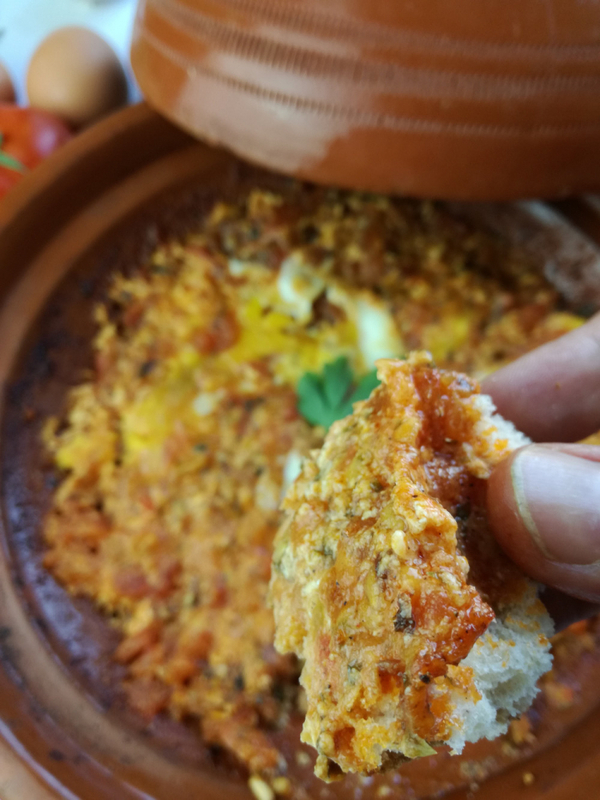 Slightly spicy tomatoes, garlic and olive oil, slowly cooked before adding the eggs at the end of cooking. 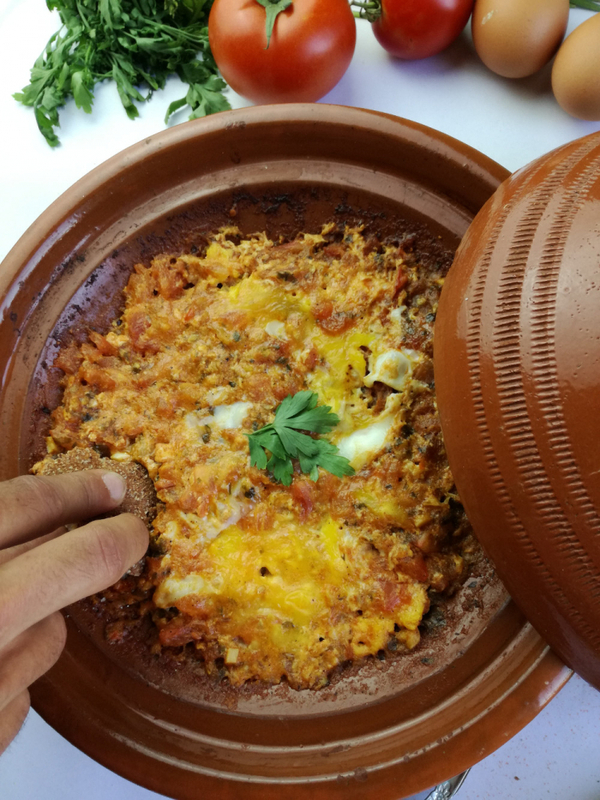 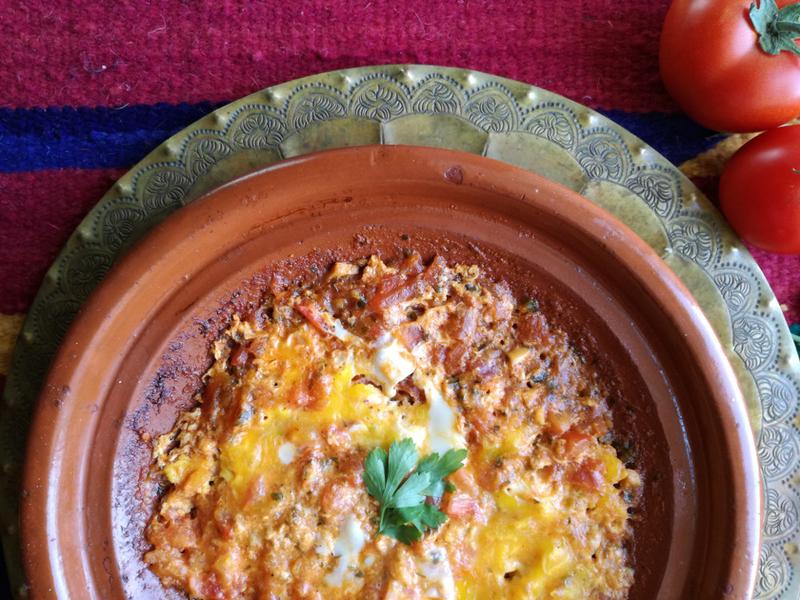 Homemade or bought in the small local restaurants (especially in the region of Agadir), this dish is the reference to relieve small hungers, quickly and at low cost. 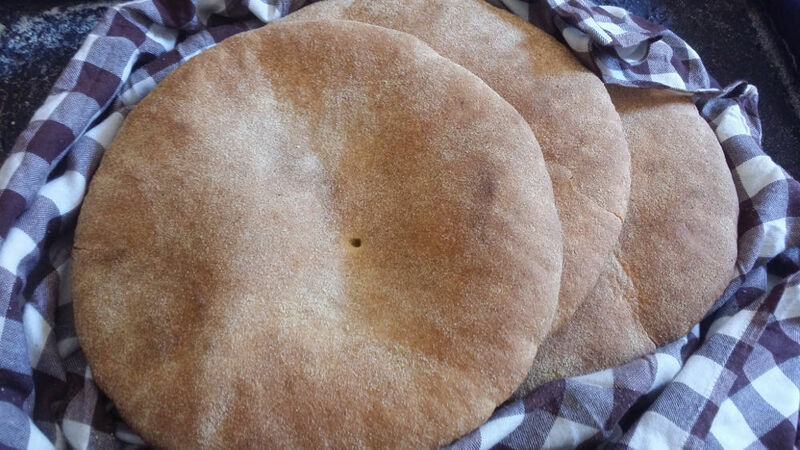 The simplicity of its preparation does not detract from its taste, appreciated by the largest number of locals. 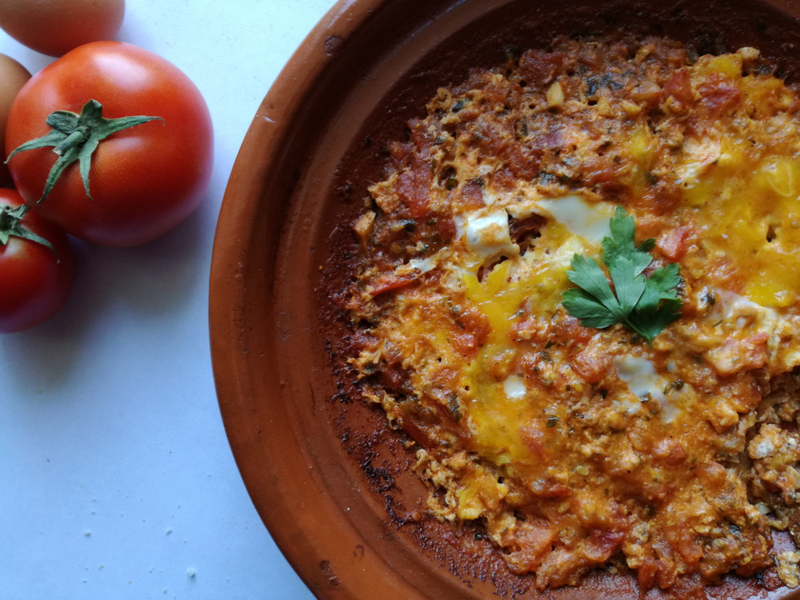 Fried eggs, with dried and candied meat (Khlii). 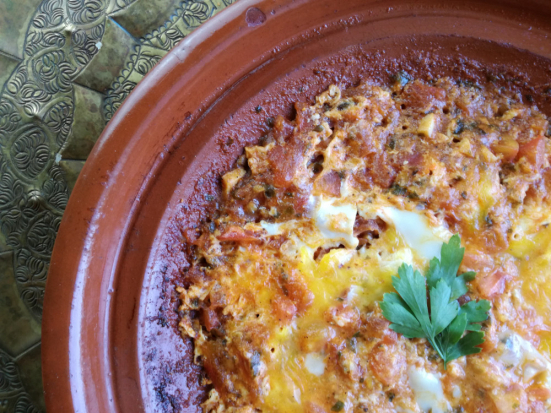 A must-try in the Moroccan breakfast. 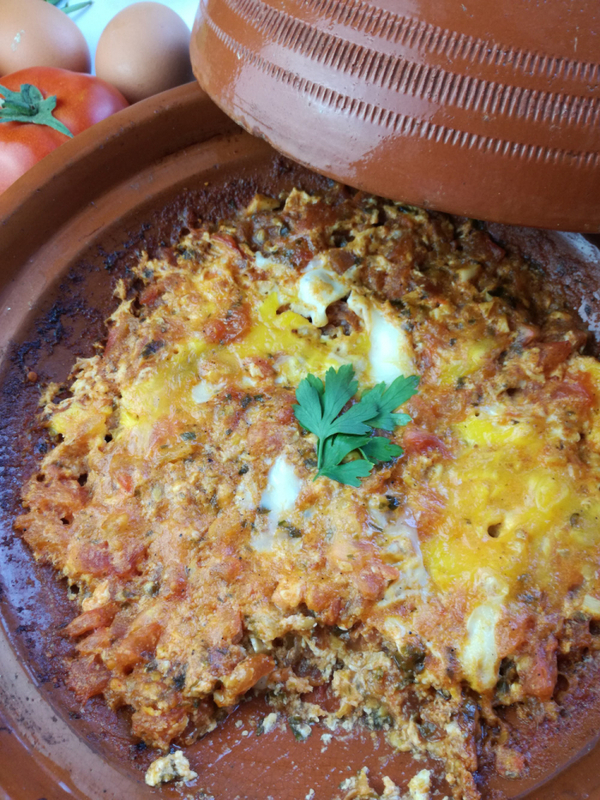 "jelbna belbide" (peas with eggs in English), is an original and exquisite omelet served especially in spring as a starter or main course.